Among the various steps to save the planet by following green living, the concept of ‘Green Chemistry’ has emerged to be a very good initiative throughout the world. As the phrase says, designing the various processes and chemicals involved in order to reduce their harmful effect on the environment is called Green Chemistry. If you have been a chemistry student, you must have performed many practicals in the laboratory- the blue and the red and the green chemicals, mixing with each other to produce some gases or some other products. At the same time, you must be aware of the importance of these reactions in the industrial processes. Most of the industrial processes require some chemical reactions to take place, let it be food industry, rubber industry or pharmaceutical industry. The chemical reactions are studied in the laboratories and then are performed on a large scale in these industries. But unfortunately, many of these reactions have a harmful effect on the environment. The elements and compounds used are toxic and non-biodegradable, which accumulate to cause air, water and land pollution. Along with this, these chemicals are hazardous for flora and fauna. Many ill effects of these chemicals have been observed on the students and workers working in laboratories and industries respectively. To modify this situation, the new field which has emerged is Green Chemistry. This not only reduces the hazardous effects of the chemicals, but also reduces the amount of time and chemicals used in the process. Taking this assumption forward, A Pike Research Report (2011) estimated that bringing in the use of green chemicals will save the industry 65.5 billion by 2020. So, this will be beneficial in monetary terms as well. The more important benefit will not be in the laboratories but in the industrial sector. Designing the chemicals and processes in order to reduce less toxic waste will save the environment. 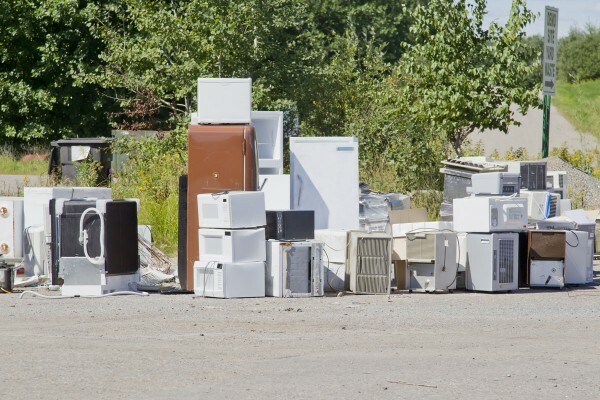 Following the same steps, the amount of waste produced can be considerably reduced or can be completely eliminated. There are many reactions which require heating up of the reactants. Reducing the time period of these reactions using alternative methods can save a lot of fuel and resources to the industry. This again, will result in conservation of non-renewable sources of energy. This directly aims at the consolidation of the economy of the nation, and conservation of the environment at the same time. One of the most widely consumed industry, the pharmaceutical companies are known for their medicines, which can cure the health of an unhealthy person. But unfortunately, many of the processes involved in the production of these products are very hazardous and bring a lot of harm to human health as well as environment. This can be reduced to a large extent with the bringing in of green chemistry. Recently, Johnson & Johnson Company has hinted at bringing in new methods, which will reduce the input, resource consumption and the waste production. Janssen scientists explored how the change in the method of production can cut the raw material input by two-thirds and the waste production could be brought as low as 13 per cent. This method also reduced the amount of water requirement. Similarly, the food industry can make use of less toxic elements and bring similar changes, which tend to make the earth a greener place to live in. These twelve principles stand as the basic pillars for green chemistry. One major work in green chemistry would be to try to reduce the waste produced in any chemical reaction because it results in wastage of resources and at the same time, leads to yet another problem of mismanagement of waste. 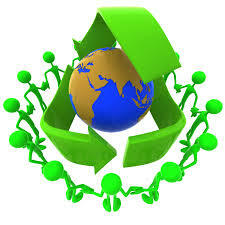 As of now, we are not very capable of disposing chemical wastes safely, which has turned out to be a hazardous problem. Using and producing lesser toxic products in these chemical reactions is also one of the priorities. International Union of Pure and Applied Chemistry (IUPAC) is also taking appreciable steps to accelerate the growth of this field. The 5th Green Chemistry Conference is to be held later this year in Durban. The conference invites applications including new projects and innovations from the scholars of chemists all over the world. This boosts the new less harmful innovations in the field of chemistry. A green chemistry plant was recently opened up by Matrìca. The two more will soon be started, which will make the three plants combined to create bio-products of approximately 70 thousand tonnes per year. The plants will use vegetable oils to produce the base products for the Tyre industry and other products having higher economic value. 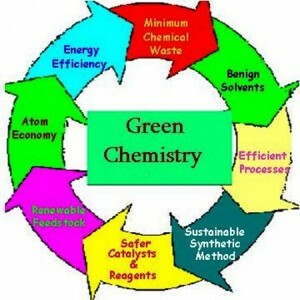 The world of green chemistry demands innovation, experimentation and replication of the same. These chemical reactions are involved for the functioning in large factories. So, modifying them in a way to make them greener will bring a huge change in the environment. Therefore, green chemistry, with its innovation, has the potential to be explored. By doing so, we will be on our way to following green living, for sure.